We have grown again! 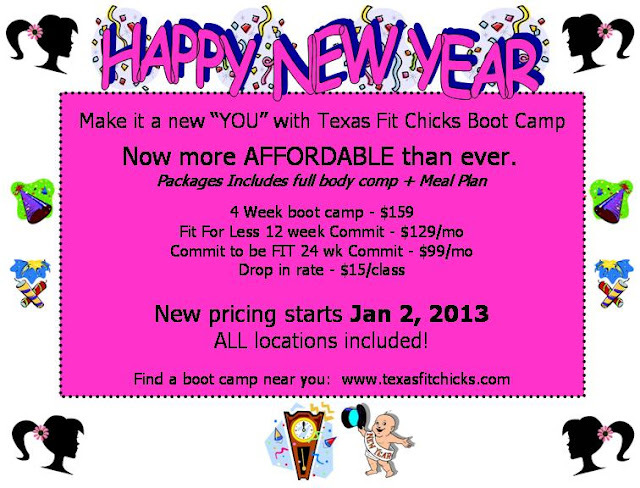 Check out the newest Texas Fit Chick locations and commit to be FIT in 2013! Texas Fit Chicks Boot Camp ~ 2013 Training for women only! You've got options...we get RESULTS. 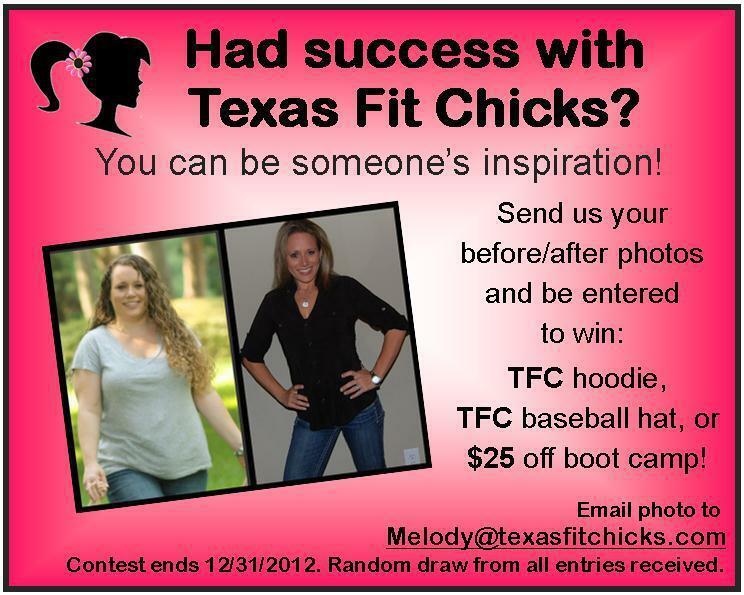 Check out these Fit Chicks..
We know you've got options when it comes to selecting a fitness program. Our philosophy is simple, we strive to create a fun, results oriented workout environment designed specifically for women. 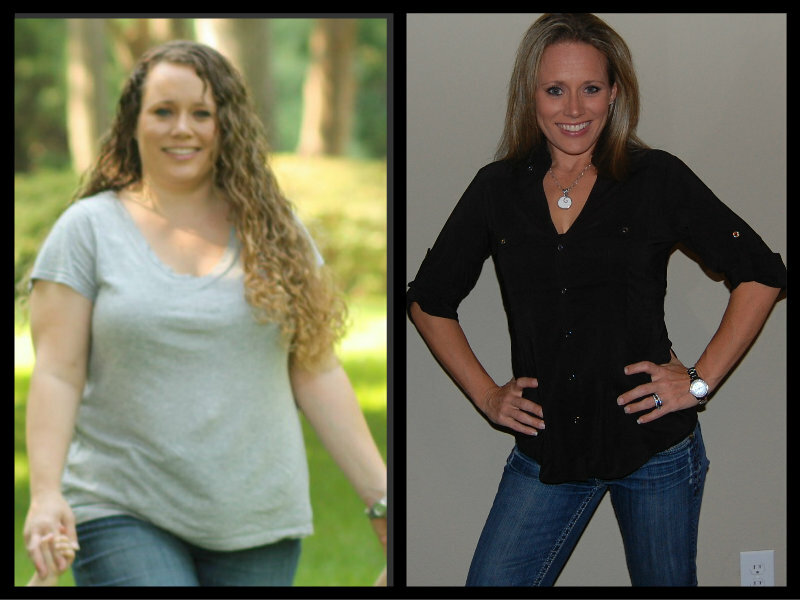 Our female fitness experts know what works when it comes to women and weight loss....and it's our passion to help you reach YOUR goals. 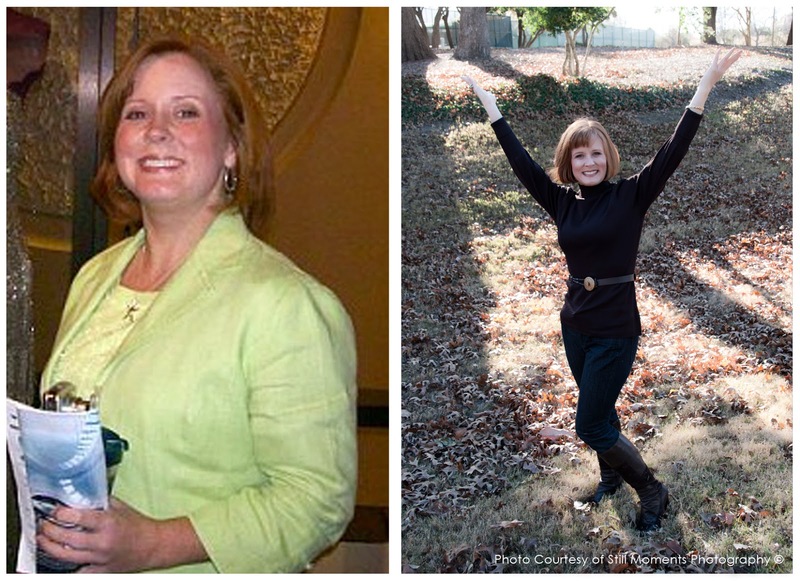 If you're ready to commit to losing weight or becoming more healthy, we are ready to guide you on that journey. Most of our locations are indoors for the winter, and all of our camps offer modifications so you get a great workout, no matter what your fitness level. I've lost 25lbs, 18 inches are gone, a drop of 8% in body fat and down 4 BMI points with 3 days a week of Texas Fit Chicks Boot Camp!! 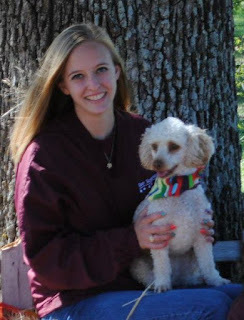 ~ Shar C.
I love the way the instructors encourage you to go beyond what you think you can do. This is definitely the best workout program I have ever been a part of. After just two weeks of bootcamp, I fit back into my pre-baby jeans..that was a special surprise! ~ Lacy S.
I was amazed and excited today at the results of my workout with TFC Trainer, Melody Chandler…I am 65 years old, about 40 lbs over my goal, and have been with the program about 2 ½ weeks only. Today I was able to keep up with the workout, and do pretty well, when Melody told me it was similar to a workout that I could barely do a week or so ago! I couldn’t believe it….also, I could almost keep up with the walk/jog warm-up! 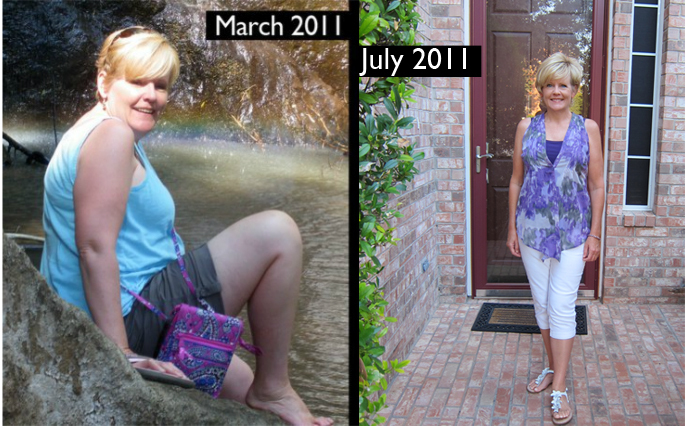 These are big improvements for me, and I am feeling better and eating better too….I am so happy to be a part of Texas Fit Chicks, and know if I keep on, I know I will meet my goals! Charlotte W.
Final day of my first 5-week boot camp session. 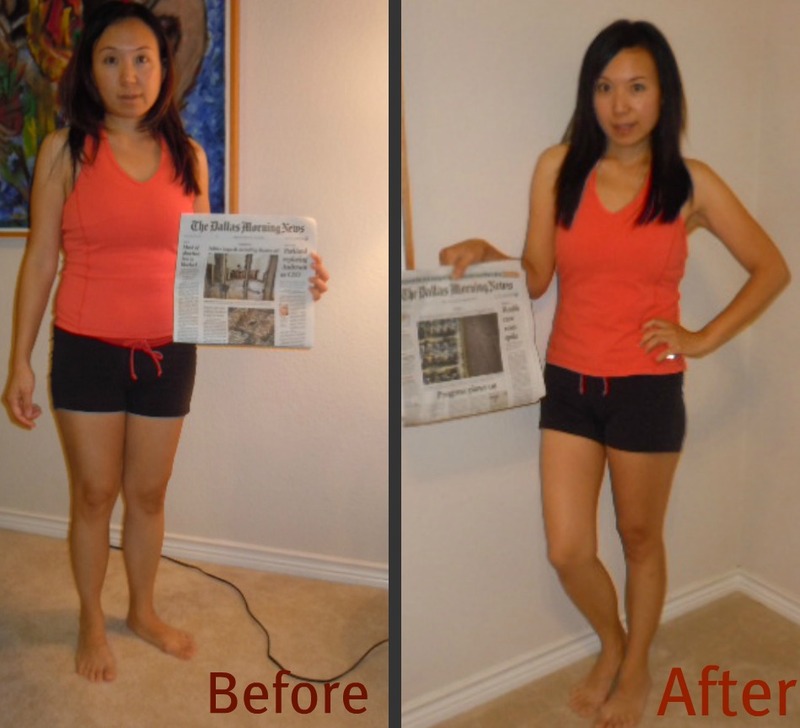 Results: lost 12 lbs and 11 inches. And yes, I have already signed up for session 2 ~ Celeste F.
Texas Fit Chicks boot camp helped me push myself harder than I ever would have pushed myself at the gym. The large variety of strength and cardio exercises kept me from ever getting bored and the accountability of being in a class setting kept me from making any excuses! I lost weight and inches in my first five weeks and am looking forward to losing even more! ~ Karen M.
Here comes 2013!! Let's make this new year the beginning of the new you. There are books everywhere on what to eat, when, how much, and which foods are the devil (sometimes that includes strawberries!!) Rather than starting a fad-diet that will have you gain it all back, try a couple of tried and true methods of losing weight. If you will follow these suggestions, you will notice your jeans fitting better within around 3 weeks! Eat your veggies! Get 5-7 servings daily. Cut out soda...lots of empty calories there! SABOTAGE #1 – right foods, wrong quantities.Ok, so you eat healthy. 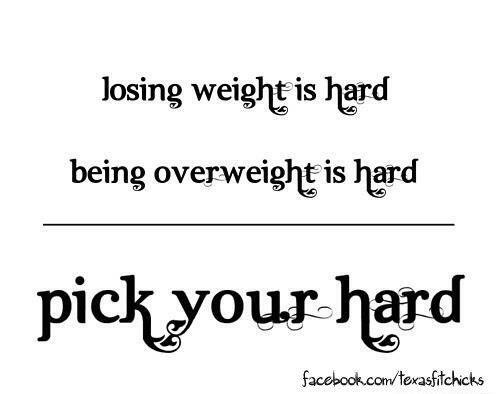 You go for greek yogurt instead of the chocolate bar. You are accustomed to eating green leafy veggies, fresh fruit and lean meats like salmon, tuna, chicken, turkey and the occasional lean beef. If you are eating the right foods, but eating too much, you will not lose weight. It’s like your finances. You might be spending on good things, but overspending is overspending.Do you know how many calories you’re eating per day? Carbohydrates? Fat grams? Protein? SABOTAGE #2 – right foods, “right quantities”, bad timing. If you’re either seeing very slow progress or not seeing progress and feel you’re within you’re correct caloric range and eating good foods, then time of day could ruin the best results you could have. Here’s some tips for those seeking to shed a few pounds.- Don’t eat simple carbs after 2pm, such as: rice, pasta, breads, sugars, honey, fruit juice, sweets. These foods are not bad, but they should be eaten earlier in the day, when your metabolism is running faster.- Eat a fast absorbing protein within 30 minutes of excercising such as a whey protein shake. - Realize that alcoholic drinks may not contain fat nor carbs, but to quote a University Anatomy professor, “It’s not what a food is, it’s what a food does that matters” and Alcohol easily converts to fat, hence the term “beer belly”. SABOTAGE # 3 – Not taking ONE diet day-off per week.YOU GET CRAVINGS! We all do. You want to eat a Krispy Kreme donut, or you’d like to eat some pizza, you’re going to a party or on a date …who doesn’t… So the best way to deal with these craving is to have a once a week outlet. Let me be clear here, you should choose your day ahead of time and then get your junky eating done on that day (try not to go too crazy, just a little crazy, try not to go more than 600 Calories over your normal diet) . SABOTAGE #4 – inconsistency. “Be consistent… nothing worthwhile is free or without cost” if you want to succeed, be consistent. Consistency is the key to financial, relational, scholastic, spiritual and fitness success.If someone isn’t getting the grades they desire by studying just 2 hours a week, what’s the solution? Study more and do it consistently, “hit & miss” never wins out, no matter how much talent/genetics/natural ability you’ve got. Remember the tortoise and the hare?The same principle applies in fitness, if going to the gym twice a week isn’t doing it for you, then go three or four times. But above all be consistent, because only then do even have a behavior pattern to measure and compare. 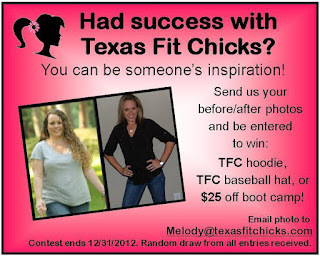 Find out why we are the leading Women's Fitness program in Texas! I am excited to be able to share with you some of what I believe are basic, but fundamental tips to help you meet your weight loss or fitness goals. 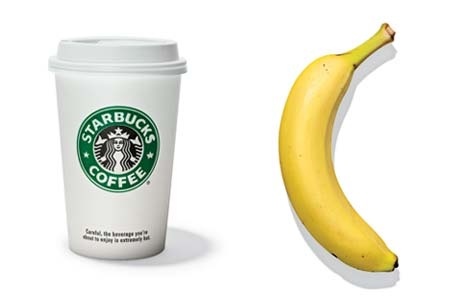 These are minor tweaks to your lifestyle that could change your life forever. This is one of my most important points, which is why I’ve made it first. It is so cliché, but we really can do anything we set our mind to. The word “can’t” is not allowed in my classes. There may be “not yet”, but we can do anything we want; it’s just a matter of how bad we want it. You have to believe that you can and that you will! I am inspired on a daily basis by women that train with me that did not believe in themselves when they started. 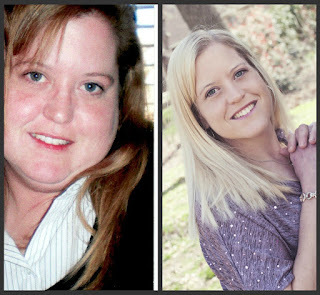 Months later, not only do they whole-heartedly believe in themselves, but they also encourage others to do the same. 2. Rest, Relax, and Recover! If you want to lose weight, you must find the time to sleep. When you do not get enough sleep or when you are stressed, your body increases hormones such as cortisol. A heightened level of cortisol stands in the way of the body processing carbohydrates properly. This leads to high blood sugar levels, which leads to high insulin levels, and insulin is what tells the body to store unused calories to fat! Are you still with me? Recently I had a client say, “Aimee, I don’t know what to do! The scale isn’t moving and I’m eating hardly ANYTHING!” I encouraged her to eat more of the right foods, and within the next month she dropped 8 pounds. We have to eat or our metabolism will go dormant! Try to eat protein with every meal. It will help preserve your muscle mass, encourage your metabolism to keep on cranking, and help you feel satisfied. Great sources of protein can be any lean meat, yogurt, cheese, nuts, or beans. Drink water ALL.DAY.LONG!! Sometimes we mistake thirst for hunger, so not only will water help your body cleanse itself, and keep you energized throughout your workouts, but it will help you eat less! Win, Win! 5. Ditch Soda (even diet)! This is just bad, bad, bad. If you’re drinking regular soft drinks, know that the average drink has 10 teaspoons of sugar. YES! 10 TEASPOONS! Do you know why it has 10 teaspoons? To cover up the taste of phosphoric acid! Phosphoric acid is commonly used for rust removal. It does the same thing inside your body, causing tooth decay, osteoporosis, kidney disease, and kidney stones. We do many things that contribute to our obesity epidemic in America, but if I had the ability to change one thing, it would be to eliminate soft drinks of any kind. 6. Burn Calories Doing What You LOVE! The term “working out” can seem overwhelming to some people. “Going to the gym” can be intimidating. Just get your body moving! If it’s walking, house work, yard work, running or playing basketball with your kids, or even private time with your partner…it ALL burns calories and you will continue doing it if you love it! No matter what your goals are, share them with someone close to you. If you need help with nutrition, tell them that you expect them to check in on you daily, or weekly to see how you’re doing. If you need motivation going to the gym, ask a friend to go to classes with you or walk with you. Set alarms on your phone to remind you to eat and drink water! Whatever it takes, stop making excuses and make it happen! Don’t make your goals too big. It doesn’t allow for as many victories in between, and those victories are what keep us going! If your long-term goal is to lose 100 lbs., set small goals of 10 lbs. so you can celebrate each loss! Don’t let yourself get to the point where you will eat the first thing that you see! We all know that feeling. I can actually get to the point that I pass eating anything, and get to the “eating sounds painful” stage. This is SO incredibly unhealthy. Plan what you will eat for the day. Always have raw almonds or a protein bar in your purse. Something that will hold you over until you can find a healthy meal. Life is too short to not enjoy every bit of it. Do things that you love, surround yourself with people that uplift you and bring the best out of you, and have the time of your life! Imagine that day when you can finally say, “I did it!” When you can say, “I never gave up, I never quit!” Imagine that day when you win that gold medal, or reach your goal weight. Where these moments of pain can turn into memories for the goal that you wanted to achieve. It might take a long time to reach that moment, but as soon as you get there you will thank yourself for the rest of your life! Thank you for letting me share with you and I wish you the very best in your journey! We've put together a list of favorite snacks from our Texas Fit Chick Trainers to share with you! 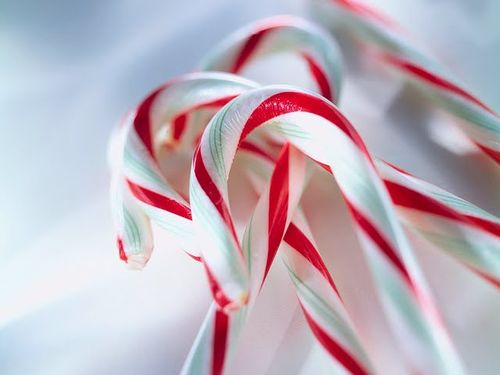 December is a month full of treats and temptations....try to snack often on these healthy treats, to keep your willpower muscle strong! a fresh fruit mix of strawberries, blueberries and raspberries with either a cup of Greek yogurt or cottage cheese. I added a tsp of Justin’s Maple Almond Butter to my plain Greek yogurt with one drop of liquid Stevia...heaven! Fage Greek yogurt sweetened with Stevia and berries. Let us know if you find your favorite new snack here...or add your favorite healthy snack to the comment box below!